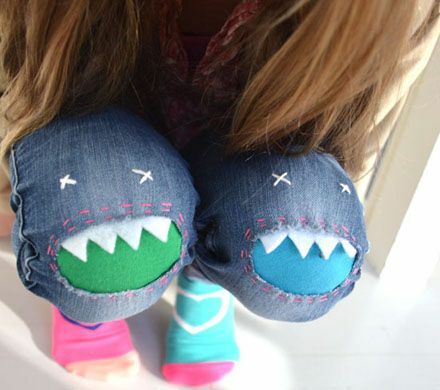 Hey, do your kids plough through the knees of their pants? My little men folk are constantly shredding theirs up through over zealous play and knee slides down grassy hills. 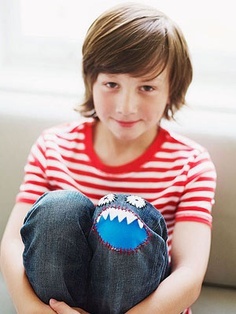 Instead of just throwing the pants away (or cutting them down into shorts) check out these fun monster patches! I’m going to give them a go! You can follow the tutorial here. 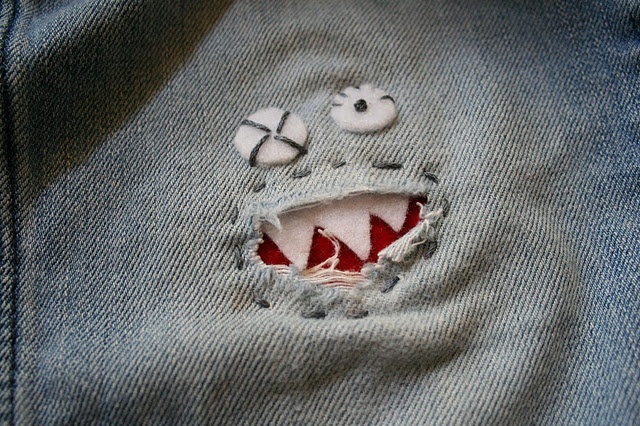 This entry was posted in creative stuff and tagged monsters, patch, repair, sewing by rudyandthedodo. Bookmark the permalink. Thanks for sharing, that is a really cool idea!